$3030 | $2070 | Call! $4005 | $2720 | Call! 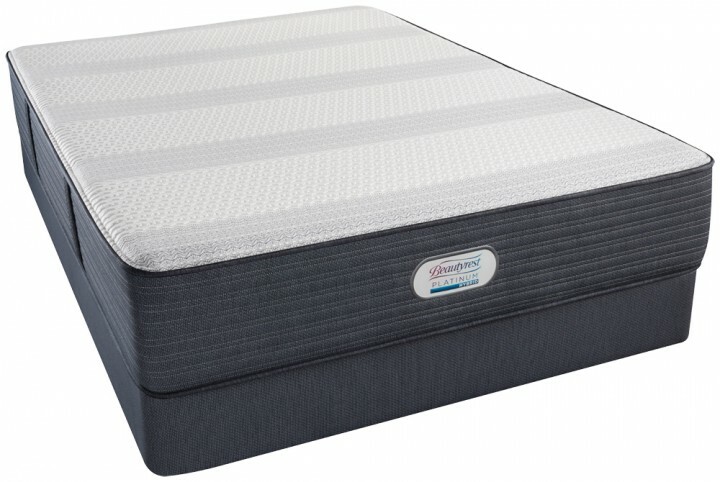 The Simmons Beautyrest Platinum Hybrid Brayford Creek Luxury Firm Mattress has a comfort rating of 40. Support is built from the ground up with Pressure Sense Hybrid Support System. Deep Contouring is created from Energy Foam, AirCool Gel Memory Foam, and HD Memory Foam. ActivPur Memory Foam is infused with platinum and silver to deliver cooling and microbial benefits. The Infini Cool HD Surface features a high definition cover with cooling materials uniquely positioned to keep you cool and resting peacefully. Categories: 2018 Platinum Hybrid, Comfort Level 40, Luxury Firm, Mattresses, Simmons. Tag: match-price. The Simmons Beautyrest Platinum Hybrid Brayford Creek Luxury Firm Mattress has a comfort rating of 40. Support is built from the ground up with Pressure Sense Hybrid Support System. Deep Contouring is created from ½ inches of Energy Foam, 1 ½ inches of AirCool Gel Memory Foam, and 1 ½ inches of HD Memory Foam. Luxurious Firm Support is created with 1 inch of ActivPur Memory Foam, which is infused with platinum and silver to deliver cooling and microbial benefits. The Infini Cool HD Surface features a high definition cover with cooling materials uniquely positioned to keep you cool and resting peacefully. InfiniCool HD Surface- Exclusive to the New Beautyrest Platinum Hybrid models, the InfiniCool HD Surface features Phase Change Materials positioned underneath the surface to draw heat away from your body up to 20% better as you fall asleep. This cover has a luxuriously soft feel that is cool-to-the-touch and its stretchiness allows the top layer of foam to fully conform to the contours of your body. ActivePur Memory Foam- Simmons newest innovative foam is made with platinum and silver additives specifically for their cooling properties and antimicrobial benefits. 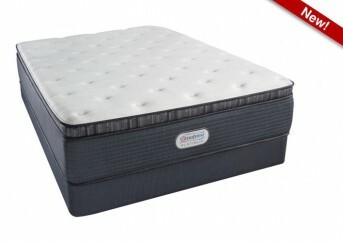 This high-quality foam ensures that your mattress stays fresh and cool throughout the night. HD Memory Foam- Specifically made for Platinum hybrid models, the HD Memory Foam is a high-density memory foam that is designed to cushion and contour your body while providing excellent pressure relief and support. Energy Foam- Energy Foam is a very durable firm foam that is utilized in the comfort layers and beneath the coil system to provide a supportive, sturdy foundation for the no-flip mattress design. PressureSense Hybrid Support System- This true hybrid support system features alternating Simmons Pocketed Coil springs and Pocketed Memory Foam in the center third of the mattress creating the perfect balance of pressure relief and support for your entire body. This combination of pocketed innerspring and memory foam provides better contouring for your shoulders, back, and hips as well as incredibly motion separation so you can move freely and sleep soundly when your partner adjusts during the night.